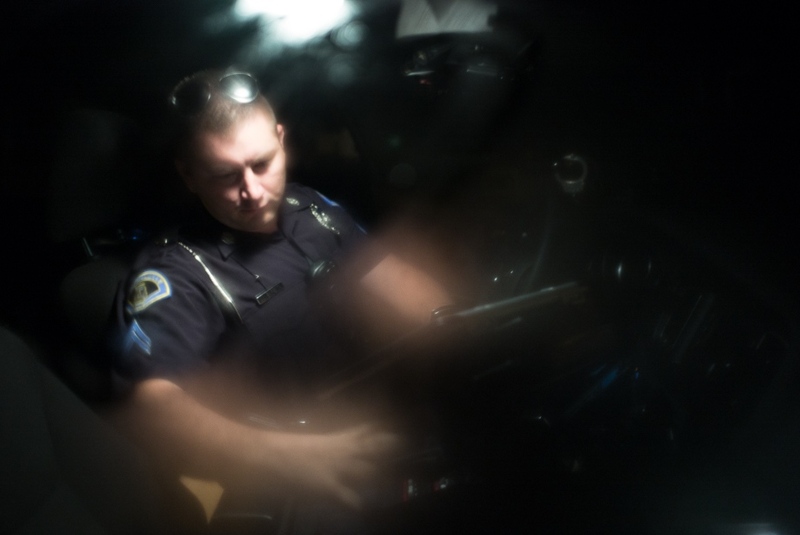 Small Town Cop in Perryville, Mo. 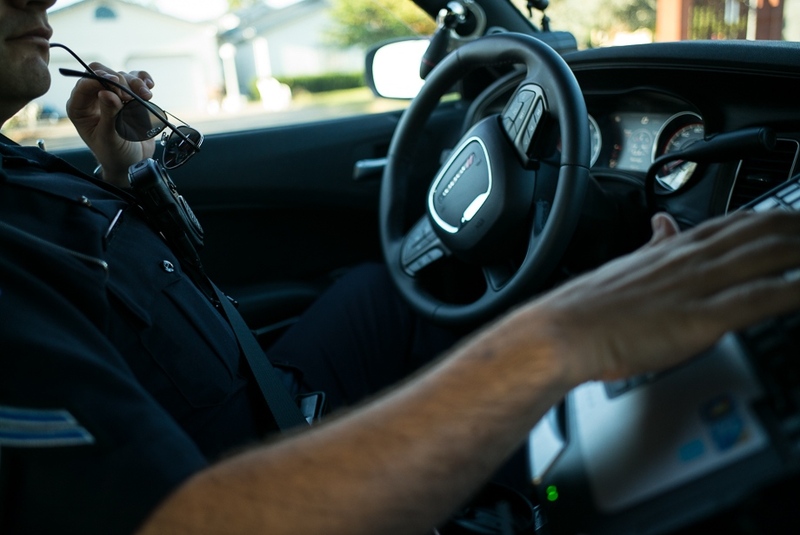 “I’ll park the car and walk the square, checking door locks and windows of local businesses, making sure that everything is securely locked, and that windows are closed,” says Officer Unverferth. 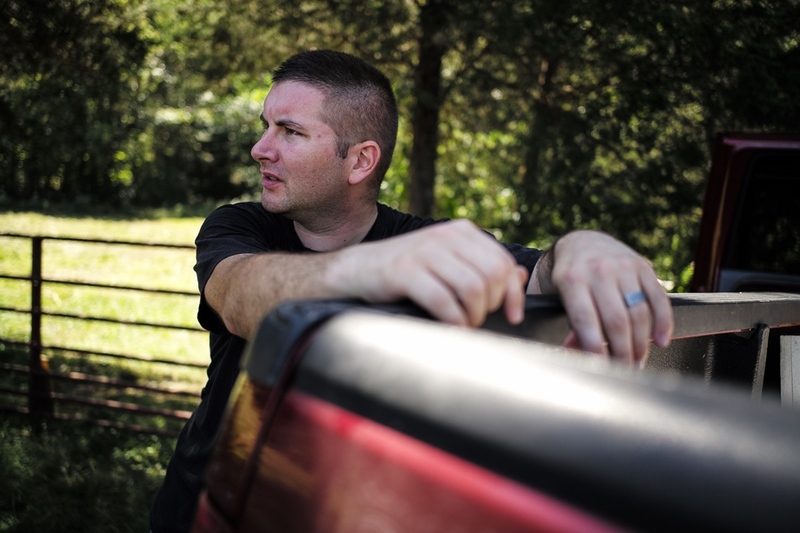 Corporal Pete started working as a cop in Perryville eight months ago after almost eight years as an officer in St. Genevieve just north of Perryville. 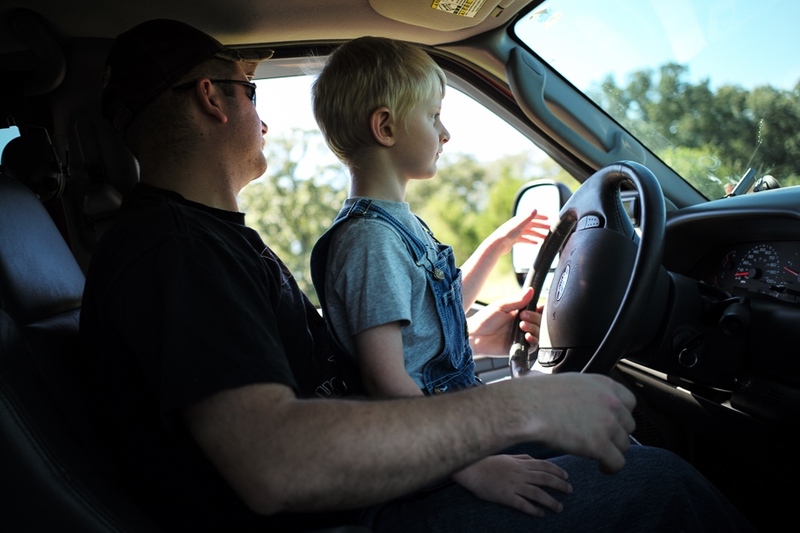 When Corporal Pete is not keeping the people of his hometown safe, he’s working with his wife, Alicia, to raise their children, Jack and Makenzie, and to get their home ready for the third child. 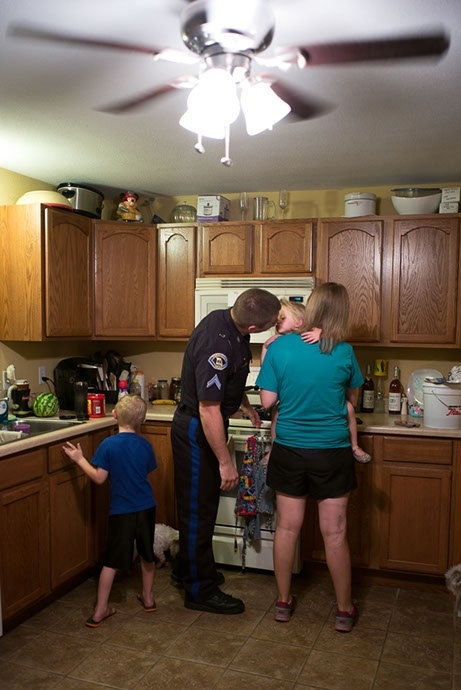 Pete kisses his family before heading to work as a police officer. 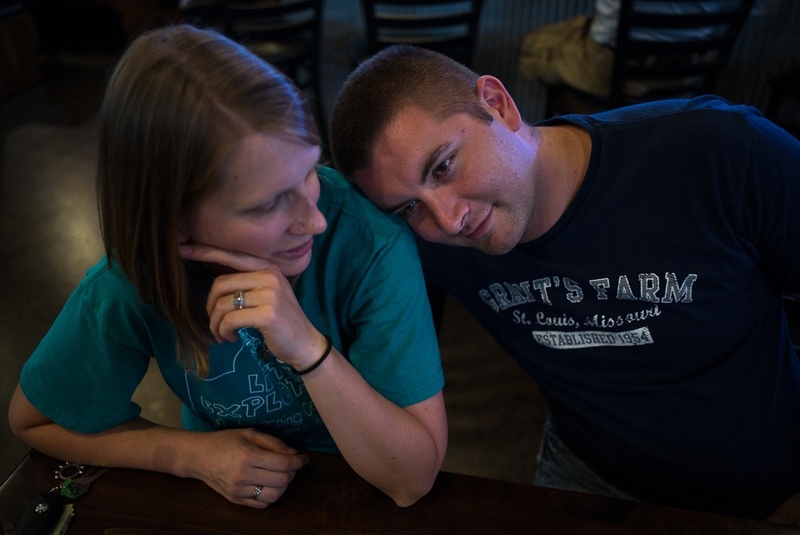 Pete cherishes the time he has with this family. 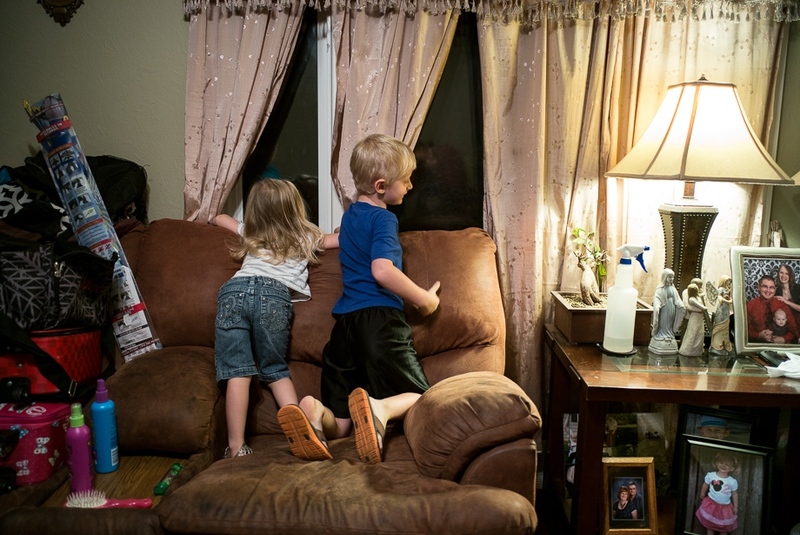 While Pete is ready to leave the house for his morning shift, Makanzie and Jack are waiting at the window to wave him good bye. Before heading to work, Pete has a moment of silence. 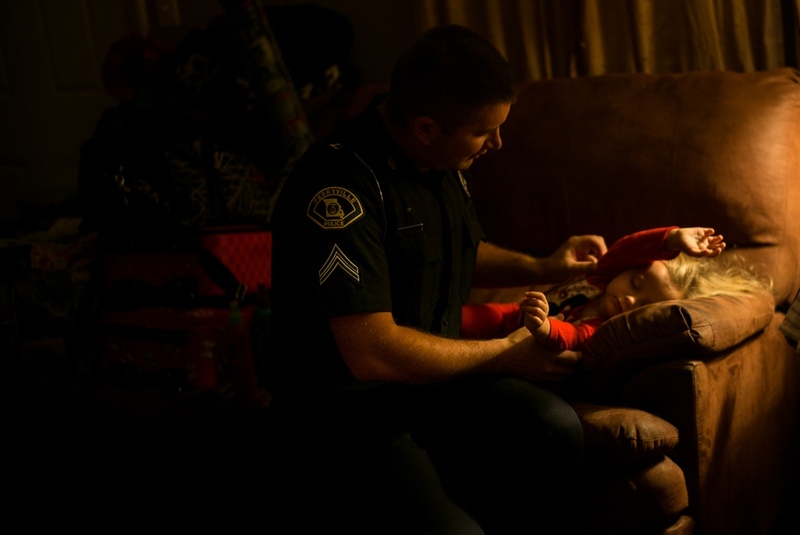 His morning shift starts at 6 a.m., and goes for 12 hours. 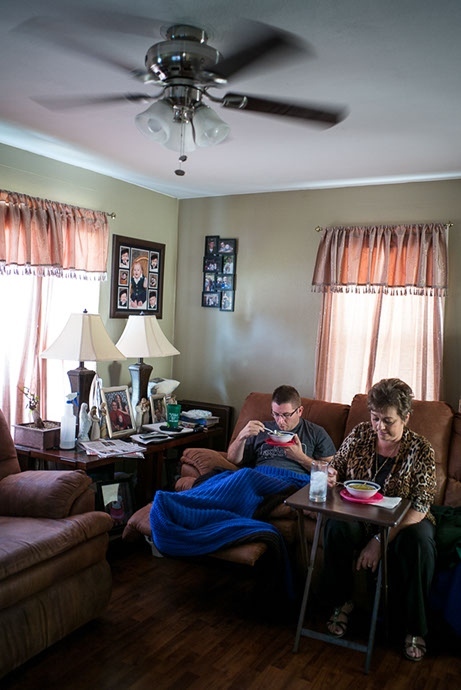 On his days off, Pete visits his parents-in-law’s farm, which is located in Biehle, 10 miles out of Perryville. 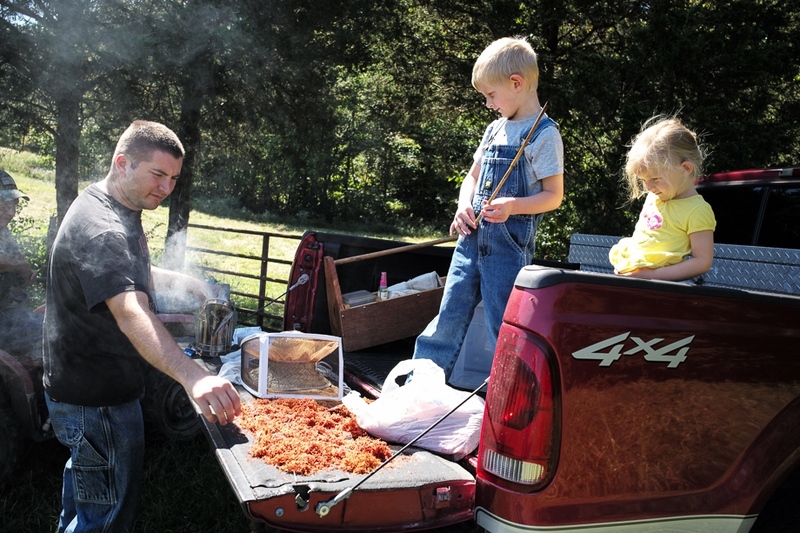 The farm offers an idyllic place for Pete’s children, Jack, 5, and Makenzie, 3. While Pete helps Jack to get into his beekeeping protective clothing, Jack waits patiently. Pete manages to leave work 15 minutes early in order to cheer on his son Jack at an evening soccer game. 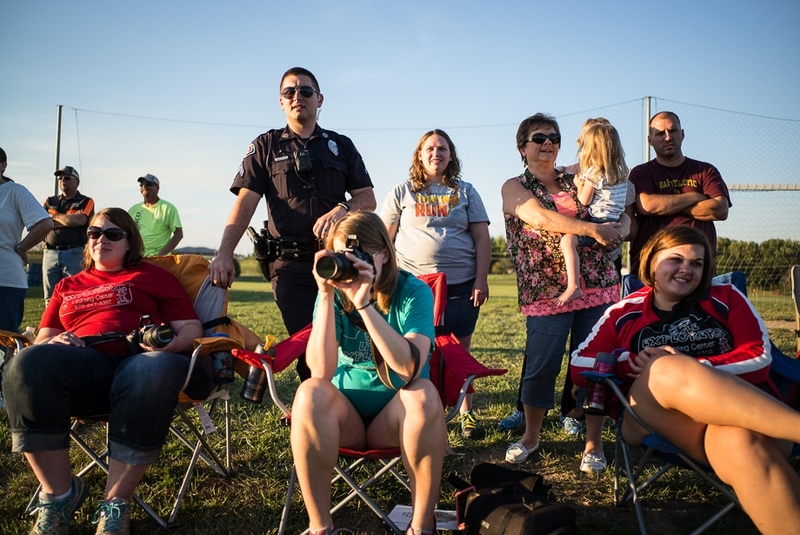 It was a true family affair as his wife, mother, sister, in-laws and cousins stood on the sideline. Afterward everyone went to dinner to celebrate the victory. 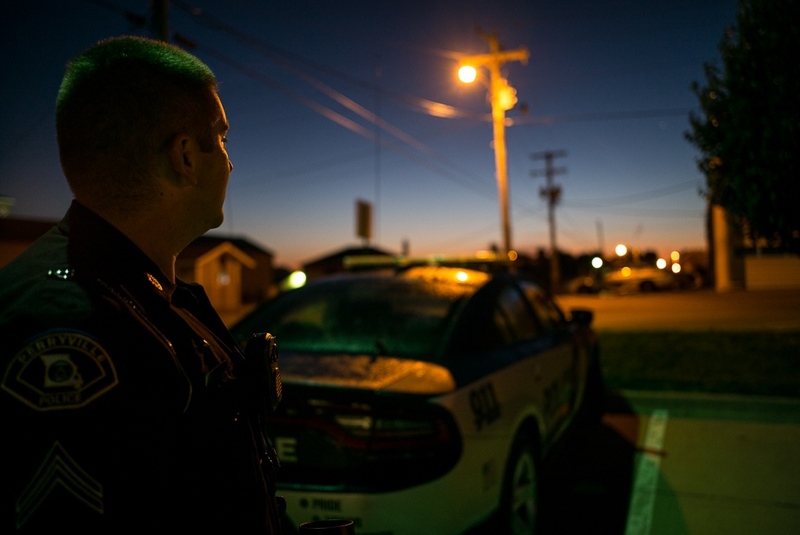 Driving around the streets of Perryville, Pete is working hard to keep the community safe. 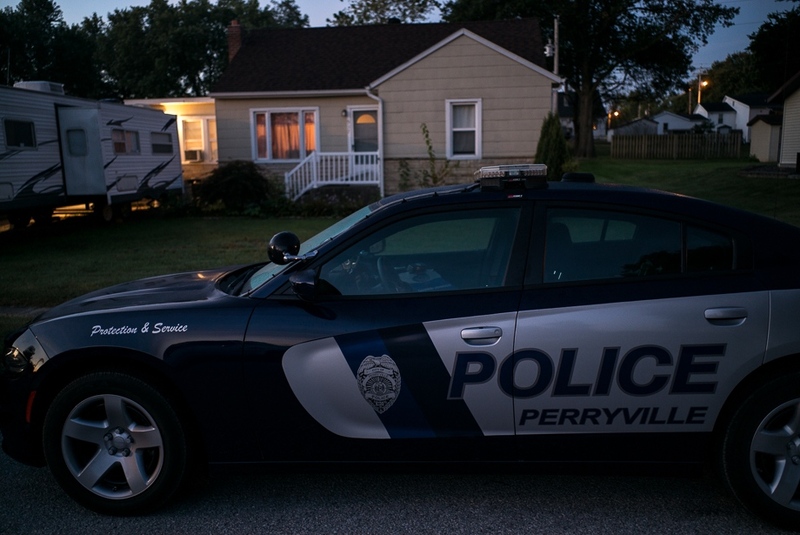 Pete’s patrol car sits in front of his house. “That’s my office,” Pete says. Getting wood chips ready to put in the smoker. When it comes time to do a hive check or harvest honey, a smoker will help calm the bees and protect the beekeeper from stings. “I like to play with the boy bees. 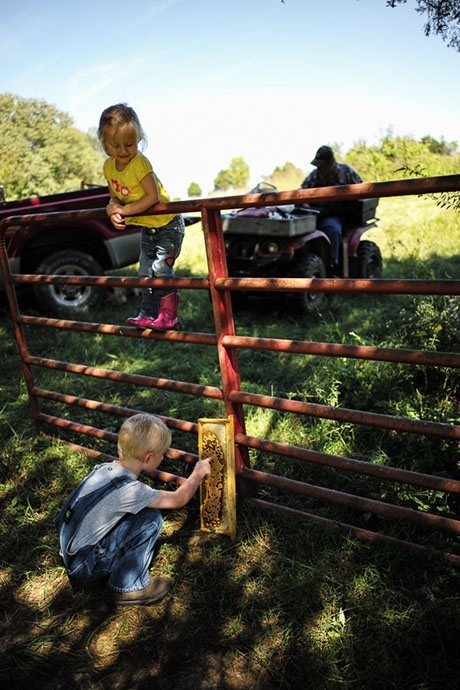 They don’t have a stinger,” Jack says as he checks out bees that are part of his very own beehive. After collecting honey from eight beehives, and taking off his beekeeper uniform in the heat of the day, there is a moment of exhaustion. 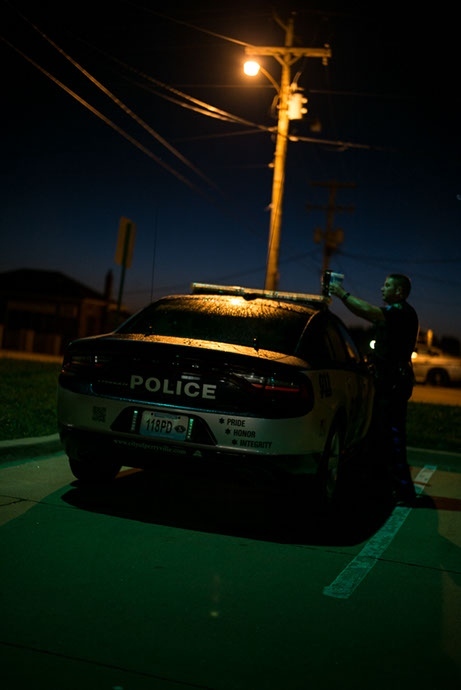 Pete grabs his morning drink off of his police car at 5:58 a.m. before he starts his shift. 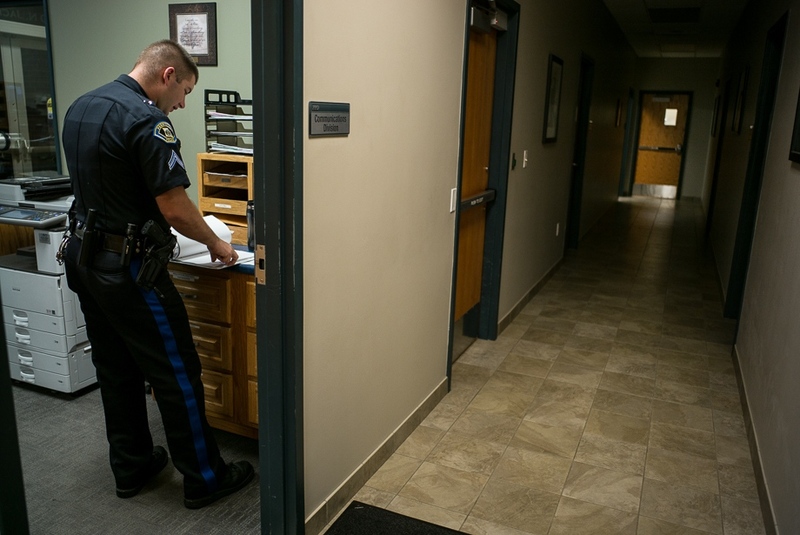 When Pete arrives at the police station for his morning shift, he needs to follow up on paper work. “Alicia and I have a lot of those tender moments,” Pete says, resting his head on his wife’s shoulder during a family night out at dinner. When Pete gets sick, his mother Therese visits him during her lunch break, to make sure that he'll be OK. All of us shared chicken soup. 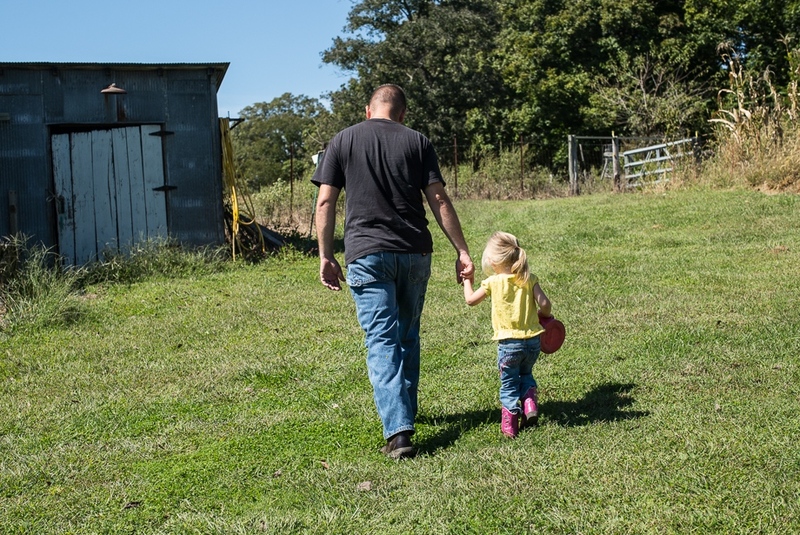 Makenzie and her dad heading to the chicken coop, which is located in the back of her grandfather's farm. Before slipping out the door for the morning shift, Pete dresses his daughter Makenzie who is still half asleep. Pete says she has the ability to fall asleep anywhere.